The peninsula’s prestigious Music@Menlo festival capped off three weeks of events with a spectacular final concert, concentrating on contemporary music, and three of the four composers were in attendance. 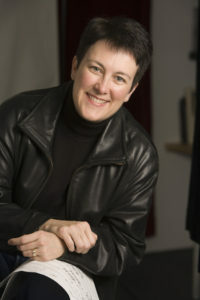 Jennifer Higdon, one of America’s most performed living composers, offered Scenes from the Poet’s Dreams, written in 1999. Five very different moods were evoked by the Borromeo String Quartet and pianist Gary Graffman, from rising major scales of “Racing Through Stars” to the gentle “Summer Shimmers,” where slow bowing was punctuated by lightly dripped piano notes. They trickled down as strings re-entered with whole-tone harmonies. The third movement, “Electric Insects,” drew on George Crumb’s music for insectile tremolos and abrupt slides, offering an alien violence. Bows bounced against strings for the thrum of wings, before a powerful final dissonance. The quintet moved into “Blue Fields” with cello as an open-stringed drone, an undercurrent to violin and viola octaves. The viola shone in a solo that restated the insect themes, but with slower celestial harmonies. The members of Borromeo were so intimately aware of each other, and that so effortlessly, it was clear we were hearing one of the world’s top quartets. Violinists Nicholas Kitchen and Kristopher Tong, violist Mai Motobuchi and cellist Yeesun Kim are currently artists-in-residence at the New England Conservatory and much sought after. Graffman, the first of three heavyweight pianists on the program, displayed lightning exchanges with each string in the energetic “Dance” finale. This stunning piece was lyrical for all its modernity, and indeed all four works on the program were avant garde without sacrificing a depth of feeling or lyrical qualities. East Bay native Gabriela Lena Frank, heard earlier this year with a premiere of her Cervantes cycle, brought selections from her work in progress, Songs of Cifar and the Sweet Sea. 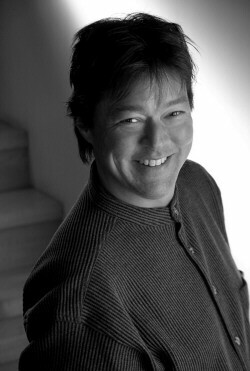 Baritone Robert Gardner sang with genuine warmth, at times breaking into head voice. His softer moments brought the fear and machismo of the poetry into sharp focus. Anna Polonsky accompanied on piano, from the muted colors of Ravel to a “talky” quality, matching the vocal line. Polonsky brought passion to the opening ninths, recalling Rachmaninoff’s hair-raising Piano Concerto No. 2. Kenneth Frazelle’s Piano Trio, commissioned for this premiere, invoked the elements just as Higdon elicited her dreams. His three movements, “Of Water,” “Unto Dust” and “Into Light,” were brilliantly performed by pianist Jeffrey Kahane, violinist Joseph Swensen and cellist David Finckel, continuing the all-star lineup that this series has managed to field. Finckel, along with his wife Wu Han, created and directs the festival and performs with the Emerson Quartet. Kahane is a busy conductor as well as performer, and Joseph Swensen, the brother of Piedmont’s Ian Swensen, is also a longtime soloist and conductor of Sweden’s Malmö Opera. Seeing these three share a stage was thrilling. In “Water” Kahane showed a high finger action, creating an abstracted quality. Swensen was very sweet in the high register, and Finckel supplied deeper currents. Gentle even when they gained power, they evoked an inner liquid: random and repetitive and encompassing. “Dust” created contrasts, with high violin notes, cello double-stops and slow Satie-like piano, and closed with strange and powerful slides. “Light” was very acrobatic, with a crazed violin line and rhythmic piano backbone. The piano moved into bright arpeggios, and then returned to a watery quality, suggesting the beginning. Tan Dun’s Elegy: Snow in June pitted Andrés Díaz on cello against four percussionists in a powerful piece whose disconnects never resolve. Referencing the perversion of justice it is troubling to hear, particularly with Díaz’ fine performance. Finally, this program had real heft. In the composer statements, Higdon wrote of poets’ dreams, Frank set her songs to texts by Nicaraguan poet Pablo Antonio Cuadra, Frazelle spoke of the inspiring torn-paper collages of artist Irwin Kremen, and Tan Dun described both a Chinese myth of injustice and the bloody repression at Tiananmen Square. Like Icebergs, the works displaced more than the material or the moment, showing deep thought, motivic cohesion, and fearsome beauty. Photos: top, composer Jennifer Higdon, photo by Jeff Hurwitz; bottom, violinist Joseph Swensen.